4 images. 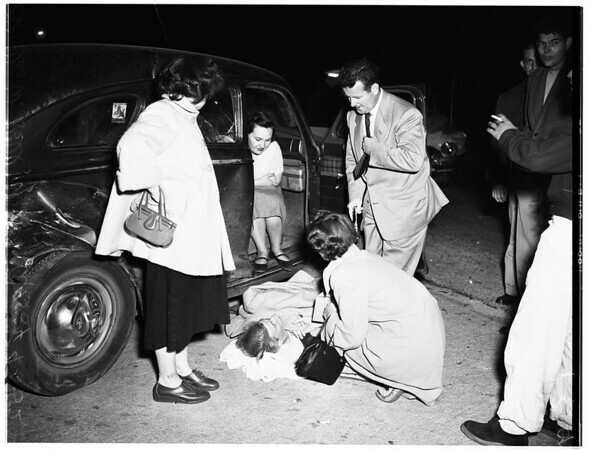 Traffic accident at Vista Del Mar and Century Boulevard, 6 April 1952. Charles W. Bell, 15, injured. (Sleeve reads: A9524).